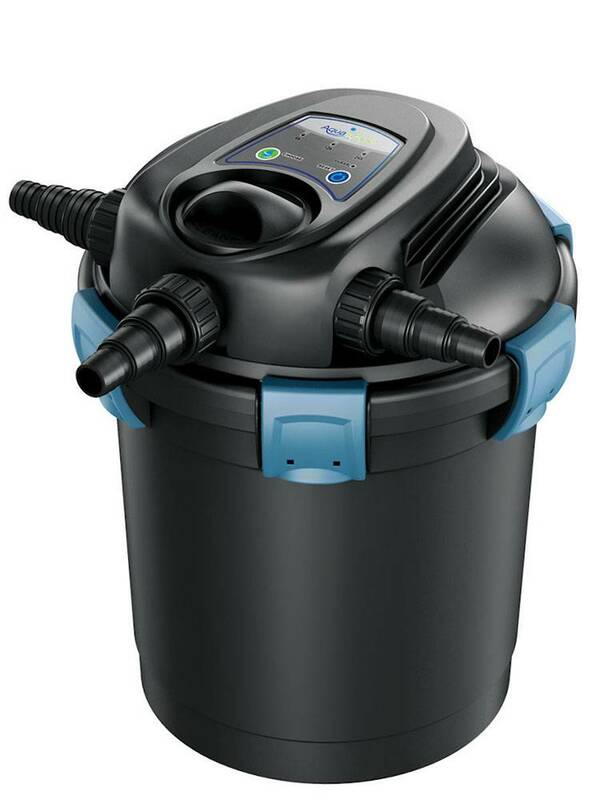 The Aquascape UltraKlean™ Biological Pressure Filter with a high output ultraviolet clarifier/sterilizer and an integrated electronic bulb-saver option, provides pond owners with optimum water conditions and crystal clear pond water. The unique sponge-free design minimizes maintenance and maximizes efficient mechanical and biological filtration. Simple-to-use cleaning feature allows for the unit to be backwashed in less than five minutes without opening the canister or getting hands dirty.